Do you tool around in a minivan and dream of zipping to exotic places in pricey sports cars? Vegetarian Traveling Mom did just that. 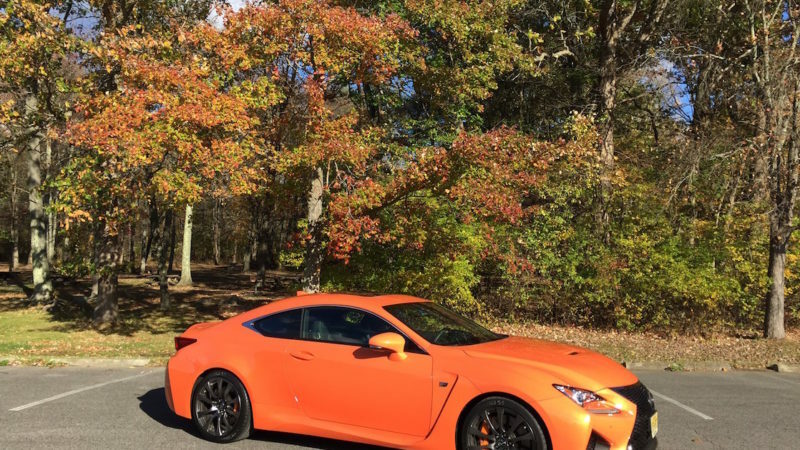 She spent a “non-mom” day enjoying the fall foliage in upstate New York, and some excellent food, while checking out a couple of 2017 Lexus performance cars. Quick quiz: do you know what the “F” stands for in Lexus RC F performance cars? On a day trip to Beacon, New York, I figured it was for the amazing fall foliage, but the F actually stands for the Fuji speedway where the Japanese performance cars are made. Say Fuji to me, and I think more of apples. Appropriate because we were basically taking the trip that thousands of New Yorkers take every fall weekend, stalking apple orchards and scenic overlooks to fill their trunks with fruit and cider and their photo memory cards with Instagram-worthy shots. And since we were traveling on a Tuesday, not a Saturday or Sunday, we could open up those cars and test their glorious horsepower. Within the speed limits, of course. Lexus performance cars are designed to go fast, but what is amazing about them is how cosseting they feel, even when you are just stuck in traffic on the West Side Highway. The cars have sumptuous leather seats that cradle you, and luxurious leather wrapped steering wheels that are comfortable to grip. The seats and steering wheels are heated, too. 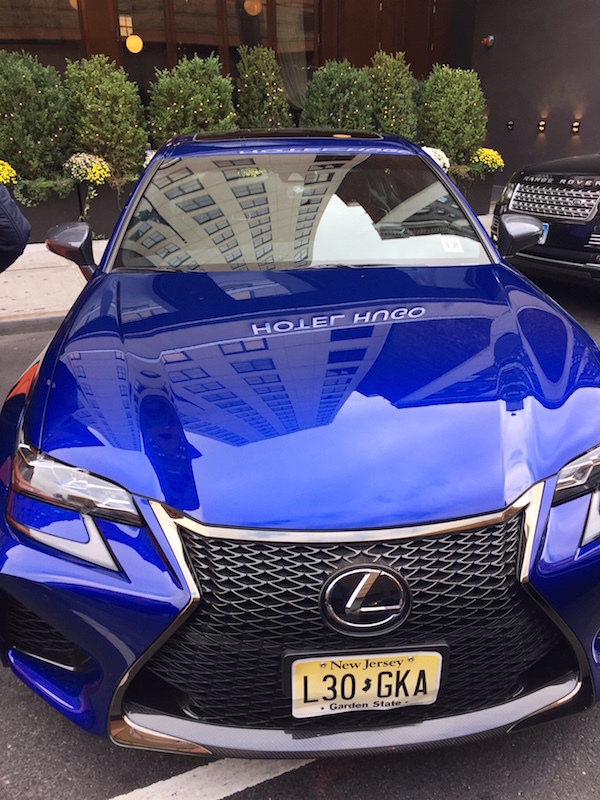 We met in Manhattan, at the Hotel Hugo, where I settled into a 2017 Lexus GS F, really a hybrid of a luxury car and a performance car. The eight cylinders can zip you from 0-60 mph in seconds, and the responsive steering makes curvy roads with fall foliage a snap. The sports cars start at $83,940 (in parent terms, that is $23,000 more than a year at a private liberal arts college) and drink premium fuel only. The Lexus Performance cars are also thirsty; fuel economy is just 16 miles per gallon in the city, and 24 on the highway. Drive in the somewhat thrifty eco mode, which still offers more horsepower than that minivan sitting in your driveway. The sport mode is louder, which can be a blessing with kids in the back seat; if you can’t hear them, their bickering can’t bother you. 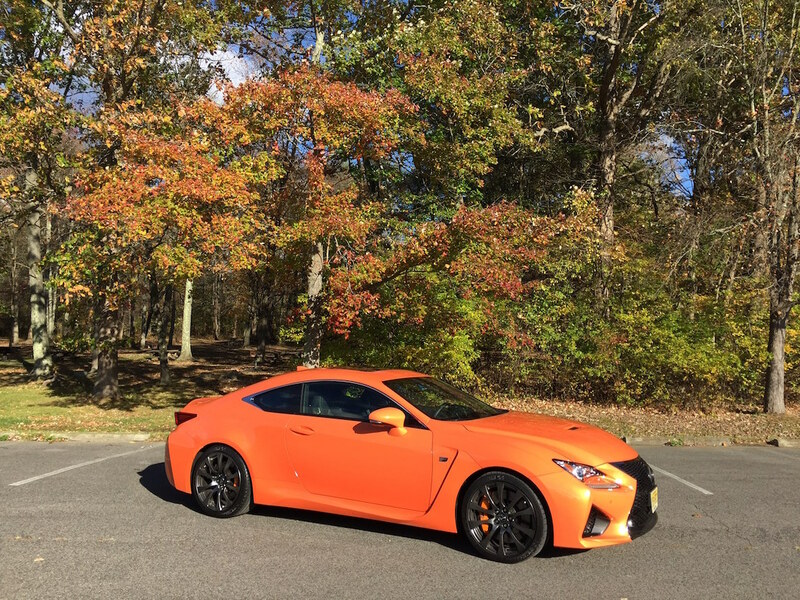 The Ultrasonic Blue Mica GS F matched the brilliant blue sky, but I felt the 2017 Lexus RC F in Molten Pearl was really the color of the day; the orange mimicked the foliage that we saw at every turn. The RC F is a relative bargain, starting at *just* $64,165. New York Has Fall Foliage! We had to stop at Franklin D. Roosevelt State Park with that orange car. The car just begged to be photographed set against the glorious tree plumage. This park, only 40 miles from New York City, is a destination itself, with hiking trails (dog friendly!) and, in summer, a huge pool and lake with a boat launch. 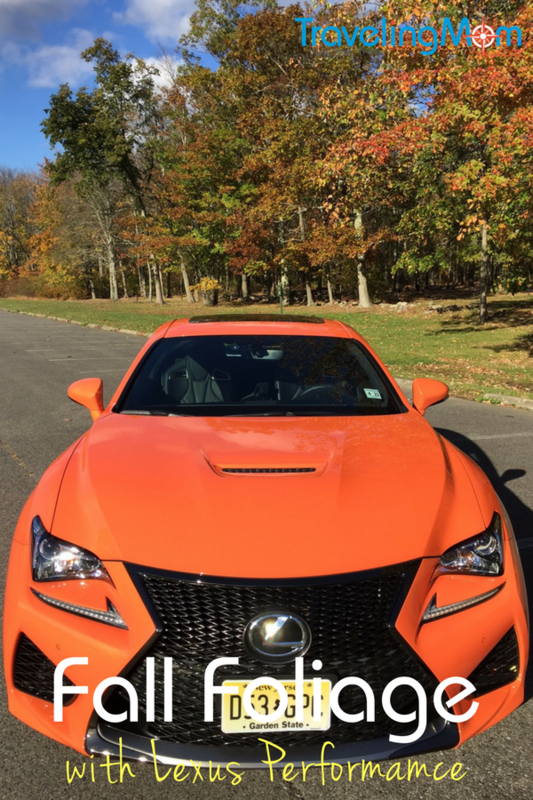 The Lexus RC F is a sports coupe, with seating for kids who don’t get car sick in the back In fact, with the gorgeous (i.e expensive) interior and sport seating, you probably won’t want anyone eating in these cars either. Even grabbing your drink out of the cup holder requires some manual dexterity. And if you are zipping around curves, you definitely don’t want a hot latte in your hands. Which is why I was glad we had stopped for lunch at the Roundhouse in Beacon. 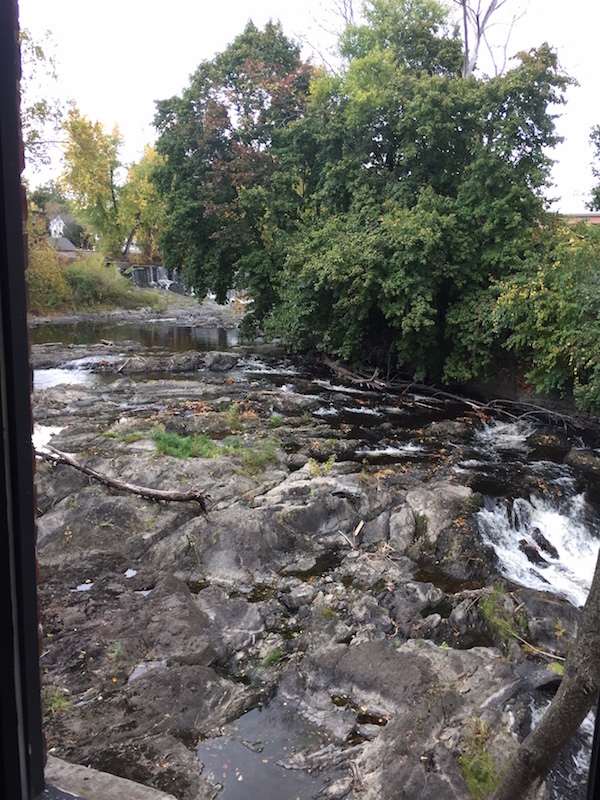 This restaurant and hotel offer views of the Beacon waterfall and spectacular foliage around town. Foodies will recognize the new chef , Terrance Brennan, who ran the restaurant Picholine in Manhattan. Here, the chef depends on the Hudson Valley bounty to fill his larder. 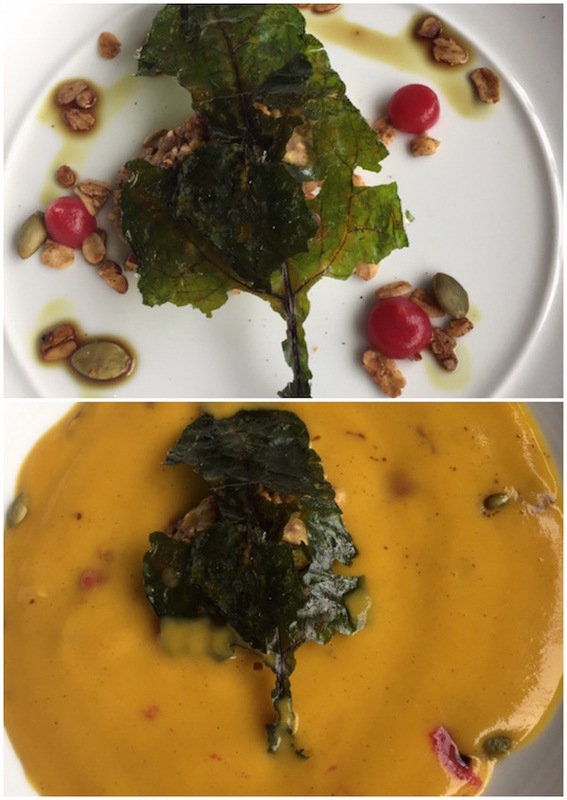 I had an heirloom pumpkin bisque (again, that orange!) followed by cauliflower three ways, a dish so enticing that several non-vegetarians at the table chose it. There was also an amazing chocolate dessert that may not have been local but was delicious and worth the calories. Burn off a few of those calories walking briskly around town, which has cute shops and cafes, or head over to the large contemporary arts museum, Dia: Beacon (alas, closed on Tuesdays). 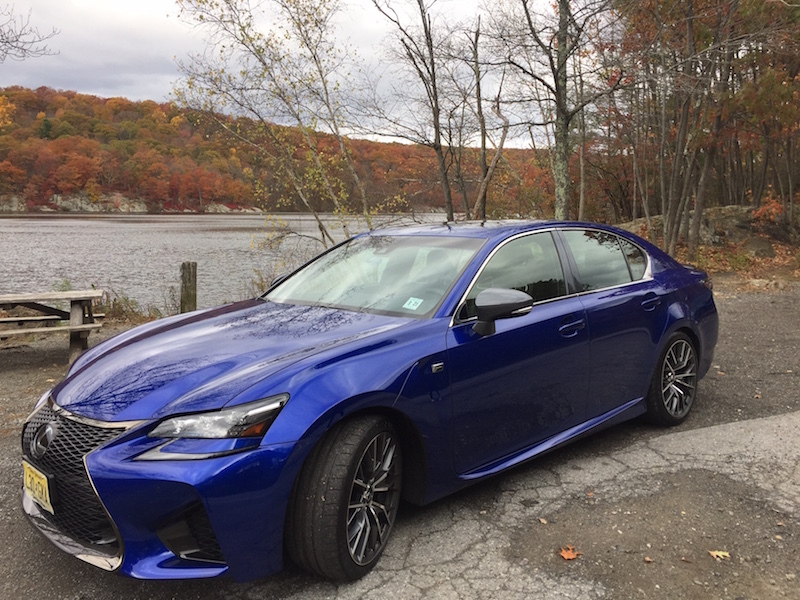 There’s also serious hiking in Fishkill Ridge preserve; for this you need good hiking boots, and bags to bring those boots home – you won’t want to wear heavy boots driving either of these cars, and you won’t want to put dirty boots in these expensive vehicles. After all, you will want to dress up and head to somewhere swanky in one of these Lexus Performance cars later. Previous Post: « Where in the World is Beer City USA?